From The Pajama Bar’s vintage vino cellar of classic hit music, I offer this review of a not-so-oldie-but-goodie of the dance floor that I wrote-up in the late 2000s for about.com and my friend, DJ Ron. Major Props to James and DeAnna Cool. As soon as my editor put this CD in my hot little hands, somehow I knew I had a smash. I couldn’t wait to get to the studio and press “play”. On a recent road trip, I listened as the miles flew by. Sure enough, from the first beat of track one, “Roxy Re-Modeled” [basiclux 9205-2] did not disappoint me. 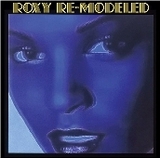 This is a wonderful collection of re-done Roxy tunes that you will love to play over and over. The personalities that have created this revival are as interesting as the music is. Simply put, I must gush because I love the weave-through journey of this album! “Roxy Re-Modeled” is not just a face-lift, it is careful to maintain the class of the original as a renovation of a classic museum would. The re-deux of Ferry’s classic “Love Is The Drug,” this time by J.A.C.E. featuring Chris Hays, has the feel of the Bee Gees’ “You Should Be Dancin’.” I also must bigg-upp (la) Grace Jones’s classic 1980 treatment of it. 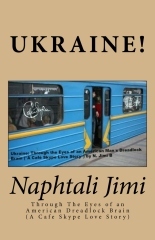 This version maintains the frenzy; the energy that keeps on building and the pounding, driving beat. I mixed the Manhattans’ old classic “Shining Star” seamlessly into “Angel Eyes” (track 3), which registers as a better-than-the-early nineties-group-Soul II Soul-groove by Perfect Project. It is jazzily hypnotic; a great listen on a hazy Sunday afternoon. Sunday People’s “Avalon” (track four) features the euro-whispery vocals of Hassan Nasser (not the boxer is it?) It is mysterious and the musical interludes aid the international flair of the disc as a whole. Now with “Don’t Stop the Dance” (cut five), BiTeR mc and Elena DeLucca’s tempo keeps it rocking steadily. Now I know what happened to good electronic pop-style music. It is on this album! I would add “More Than This” (track five) from Madison Park in heavy rotation on my fantasy dance music radio station (whose ratings, of course, would, be number one)! ’nuff respect to Lenny B on the remix which has the big Webster Hall ballsy bass house feel. Don’t waste time, cut to the musical chase when you re-compose a piece and give it the opportunity to cross to the CHR/Rhythmic Top 40 formats for those programmers left who are bold enough to go out on a gut-level limb. This one is my personal favorite. “Kiss and Tell” (track eight) by J.A.C.E featuring Chris Hays on vocals is bold and brawny dance (of the cloth of Theo Vaness’ 1979 “No Romance/Keep on Dancin'”). I just can’t get enough of this kind of sound, and I love when stuff makes me get down on my knees and dig into the crates! “An Angel’s Eyes” (lots of angels guard this effort) by Stormchild is an insty with a familiar funky hard beat and a nice airy, progressive change mid-song. A little “traveling music, please”- that’s what it iz. The next two tracks, “Beauty Queen” from Goldlust featuring Sarah J., and the downtempo “Slave To Love” by Abstract Foundation offer a timely change-of-pace like jerk chicken and a Caribbean rum beverage. For a nice Adult Contemporary format feel, choose “You Do Something To Me”, another Madison Park tune, this time with The GrooveOholics (track twelve). DeAnna shines once again in her starring role with dreamy vocals that began before she even uttered a word. As her Mom tells it, one day when bathing and singing to the few months old DeAnna, she was surprised when her daughter looked up and matched her pitch, holding the same note! Mother DeAnna was so shocked, she almost fumbled the little darling. Track thirteen, “Ten Cents A Dance,” by Wilson is Yar Wilson’s upbeat and positive curtain call with the same feel of “Kiss and Tell.” Personally, there is so much compelling stuff yet to tell about this, dear reader. In any event, this compilation makes you feel a strobe light rainbow of danceable sound.